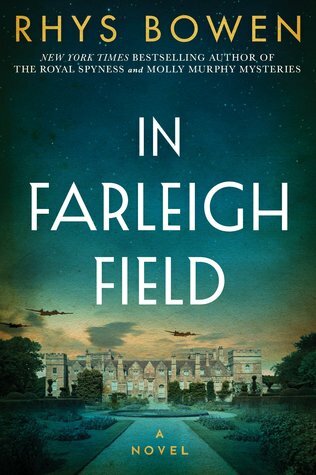 Goodreads: World War II comes to Farleigh Place, the ancestral home of Lord Westerham and his five daughters, when a soldier with a failed parachute falls to his death on the estate. After his uniform and possessions raise suspicions, MI5 operative and family friend Ben Cresswell is covertly tasked with determining if the man is a German spy. The assignment also offers Ben the chance to be near Lord Westerham’s middle daughter, Pamela, whom he furtively loves. But Pamela has her own secret: she has taken a job at Bletchley Park, the British code-breaking facility. Kritters Thoughts: If you have been following me for a minute, you know that I am a historical fiction fan, so when I was pitched this book I was excited and ready to read it. To cut to the chase, this one fell short for me - BUT it could be also related to the time in my life that I read it, let me explain. My professional life right now is beyond crazy so when I got home to read each night I wanted something easy to pick up and put down and this one isn't. With all the characters that are swapping sides and double agents and guessing what side of the fence they were working on was hard. I wish there were a little less characters that were questionable, it just seemed like too many. When I don't love a book, I like to say why because if you are into that thing than this book could be right up your alley. The big cast of characters was hard for me and having to keep them all straight made the reading experience harder than enjoyable. If you love a big gang of characters and love to try to keep them all straight - then check this one out. I definitely would still read another book by this author with my read of this book I am in no way ruling out this author, partly because I semi blame myself for my frustrating read of this one.